The expansion set contains five detailed collectable figurines to add to your collection of classic creatures from the movie. 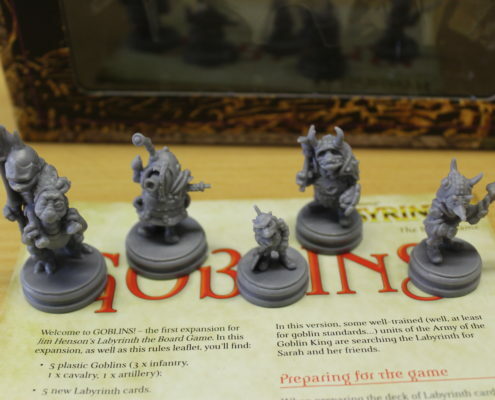 The goblin infantry, cavalry, and artillery are expanded here with five new Labyrinth cards to go along with the units, and optional rules that relate to using them in-game. 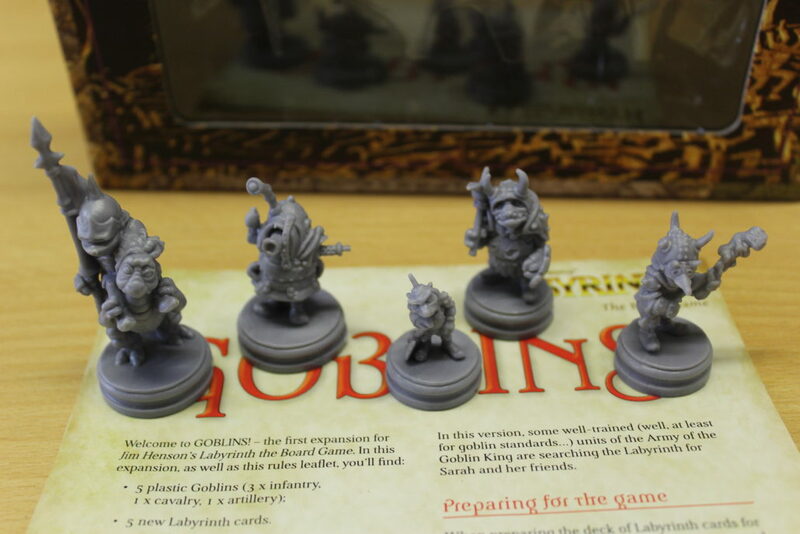 We will soon know the shipping number for the Goblins! expansion for tracking, so subscribe to the River Horse newsletter to stay up to date, and don’t forget to follow the Official Jim Henson’s Labyrinth – The Board Game Facebook page! You can learn more about the game on our product page. My Little Pony Tails of Equestria – New Dice Sets Preview! My Little Pony: Tails of Equestria Mini-Adventure!